[INQ. NO. 1806E29] Myungshin Medical Co., Ltd has developed the dome-type far-infrared ray medical heating device with effi ciency and convenience using the patent technology of the plate-type heating element and is now mass producing and selling the product. Myungshin Medical’s far-infrared medical superheater is an item that can grasp both health and beauty thanks to its fat reducing effects, blood circulation acceleration effect, and pain relieving effect. It is free from radiation endangerment by using carbon-based heating element. It is an effective alternative substitution for accident sequela, stomach pains, joint pain, neuralgia, and other senile diseases. It is a device that will substitute drugs or lower your dependence. Currently, it is being used as a substitutional curer for cancer patients at the Seoul National University Hospital’s Cancer Treatment Center, Cha Hospital, Chinese medicine clinics, and other general hospitals in Korea, Japan, and Europe. Zen Beam of streamline with its loud two-tone color symbolizes youth, health and beautiful body line. Far-infrared rays, as warm as the sunlight, boost blood circulation in the body and reduce body fat and waste matter, helping you keep the clear skin and shape up. If the pain persists for a long time or the stimulus is too severe, your daily life could become stressful. As Zen Beam (a far-infrared ray medical heating device) is effective for various kinds of pain requiring the thermotherapy (backache, arthralgia, stomachache, etc. ), it can be widely used for various diseases. 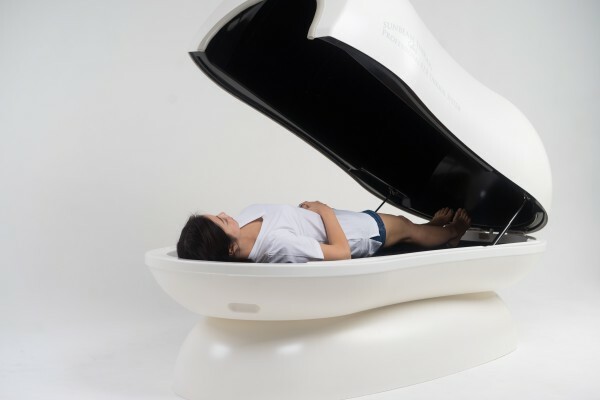 Sun Beam Capsule, an emitter of Nano carbon material, emits a far-infrared ray wavelength of 4~16um, boosting the metabolism and reducing visceral fat. It is expected that the percutaneous infrared-ray hyperthermia will be used for obese patients, especially for patients having accumulated a lot of visceral fat. Since its establishment in 1999, Myungshin Medical has grown as Korea’s best enterprise in accomplishments as well as in name. As of 2015, the company successfully accomplished the one and only obesity treatment clinical trial in Korea and completed registration with the U.S. Food and Drug Administration (FDA). The eff ectiveness and technology of its product has been recognized in such countries as the UK, Belgium, Sweden, Hong Kong, Australia, the USA, etc. and is exported to those countries. In 2015, Myungshin Medical strived for exporting the product to China. Myungshin Medical will strive for continuous development of products by strengthening its world-leading technology, effectiveness, price competitiveness and ease of use. Myungshin Medical will advance as a more improved and innovative global enterprise as Korea’s proud medical leader, always considering customers’ health as a top priority.